Complete Guide to Open Source Big Data Stack | Free eBooks Download - EBOOKEE! See a Mesos-based big data stack created and the components used. You will use currently available Apache full and incubating systems. The components are introduced by example and you learn how they work together. In the Complete Guide to Open Source Big Data Stack, the author begins by creating a private cloud and then installs and examines Apache Brooklyn. After that, he uses each chapter to introduce one piece of the big data stackâ€•sharing how to source the software and how to install it. You learn by simple example, step by step and chapter by chapter, as a real big data stack is created. The book concentrates on Apache-based systems and shares detailed examples of cloud storage, release management, resource management, processing, queuing, frameworks, data visualization, and more. 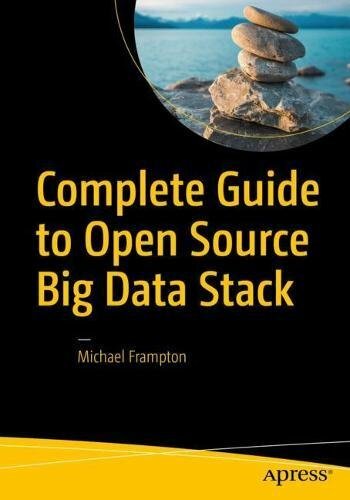 No comments for "Complete Guide to Open Source Big Data Stack".